Home General Can Dogs Eat Bananas? As a dog lover, you probably already know there are some foods you have to keep away from your pet. Everyone knows that pups need to stay away from chocolate. But they should also avoid grapes, avocado and onion. But can dogs eat bananas? Read below to learn more. The Answer: Can Dogs Eat Bananas? Let’s get straight into the long and short of it. Can dogs eat bananas? The answer is yes. And you might actually want to consider adding bananas into your dog’s food rotation once in a while. 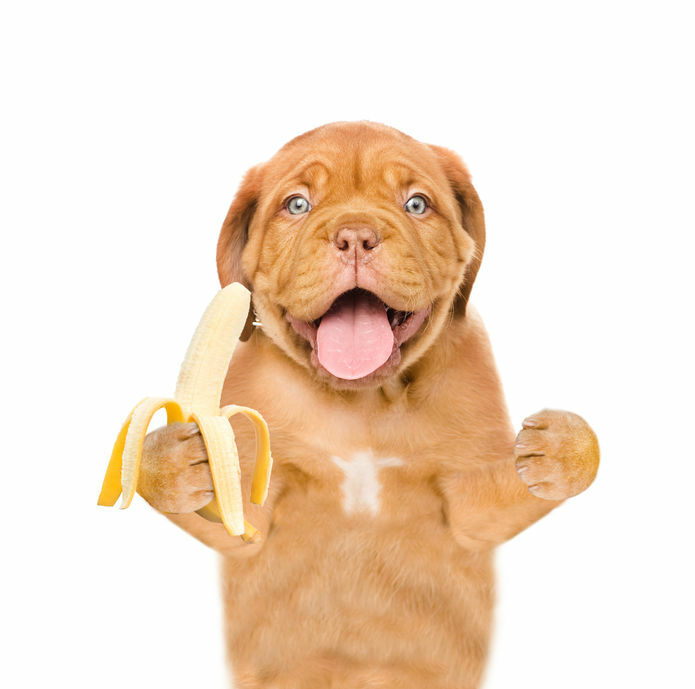 Bananas are chock full of stuff that’s going to be great for your dog. Potassium – Potassium helps your dog’s muscles and nerves function properly. It also is needed in the production of many enzymes. Your dog will better maintain fluid levels with the right amount of potassium in their diet, so it’s essential for an active pup. Vitamin B6 – Vitamin B6 is responsible for the production of glucose and red blood cells. 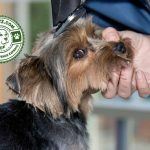 It also promotes nervous system function, proper immune response to keep your pup well, and a whole host of other functions. Vitamin C – Vitamin C is an antioxidant. This means that it works in your pet’s body to help regulate many functions. It also helps reduce inflammation and will help your dog age more gracefully. 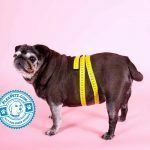 Fiber – Having enough fiber in your dog’s diet is essential for healthy bowel movements, but it can also help with weight management. Magnesium – Magnesium is needed for regulating the production of energy in your dog’s cells. Without enough magnesium, your dog can become lethargic or even have difficulty getting around. There are so many ways you can serve some banana to your little buddy, but what’s best? Really, that’s up to you. 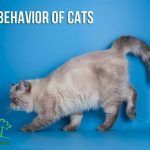 It depends on if you want to turn it into a treat for your four-legged friend, or if you are looking to mix it in with their food on a normal basis. If you prefer to add bananas at a regular food, feel free to do so. Banana can simply be sliced up and tossed on top of your pet’s dry or wet food. If you make your own dog food, you can just toss a roughly cut banana into your crock with your other ingredients. Just make sure you get all the peel off before giving it to your pet. If you’re looking for special ways to incorporate bananas into your dog’s diet, you’re in luck. Bananas are super easy to work with and are usually an enticing treat for your pet. And there are so many ways to include banana into your dog’s diet. You can add a small amount of peanut butter to some banana slices. The fatty, creamy peanut butter is another awesome treat for your dog. Honestly, it’s hard for a person to resist too. You can freeze a whole banana. Slicing it while frozen is a great way to “spread out” treat time. Your dog will work the frozen chunks and be looking to you to keep them coming. You can also jam a banana into a puzzle treat like a Kong. Throw that into the freezer, and you’ll not only have a nutritious snack, but you’ll have a treat that will keep your dog occupied for quite some time. 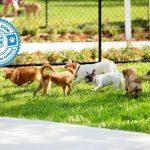 This is a great way to reward your dog and get them some mental exercises as well. So now you know that dogs can eat bananas. What about other food? Are there other foods you should avoid giving your dog? There certainly are foods or treats that you should avoid giving your dog, or at least there are some that you should only give in moderation. Apples – Much like bananas, apples are a great source of nutrients your dog needs and can even be used to help clean your dog’s teeth, but they are also full of sugar. An important thing to remember though is that apple seeds contain cyanide. This is toxic to people and dogs, but most people have sense enough to not eat the seeds. So be careful and your dog will love the treat. Store Bought Mushrooms – If mushrooms you buy at the store are safe for you, it’s probably safe for your dog. Just remember that your dog should never eat mushrooms from the back yard. Bread – Fresh baked bread is a delicious treat for all, and your pup can have a bit too. But keep it minimal. Bread has little nutritious value, so you’re really only eating for taste. Be sure to never give your dog uncooked bread dough though because it can lead to some serious problems. Pomegranate – Pomegranate is a “super-food” for people but is best avoided by your dog. They are not lethal but can cause stomach ache and vomiting. Onions/Garlic – Any food from the onion or garlic family can cause havoc on your dog’s red blood cells and are best avoided. This goes double for onion or garlic powders because they are usually very concentrated. Nuts – Macadamia nuts are some of the worst, but if your pup gets into any nuts it can cause vomiting, diarrhea, and abdominal pain. If your dog ate nuts and shows these symptoms, get to the vet immediately. Now we’ve answered the burning question “can dogs eat bananas?” We’ve also given you a little more food for thought. Hopefully you’ve gotten some ideas on how to help safely expand your dog’s diet. 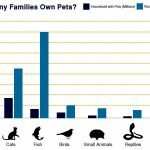 Next articleWhich Dogs Are Good with Cats?